This aluminium rope grab is suitable for 9mm-13mm rope & has a non-aggressive cam which is made from one piece of aluminium to minimise rope wear. The cam is secured with a hex bolt & nyloc nut with a plastic-coated steel wire to hold the cam captive to prevent loss. The THRG1 is certified to EN567 (rope clamps) and can also be used as a progress capture component in rigging systems*. *It is the users responsibility to ensure components are compatible in a climbing or rigging system. 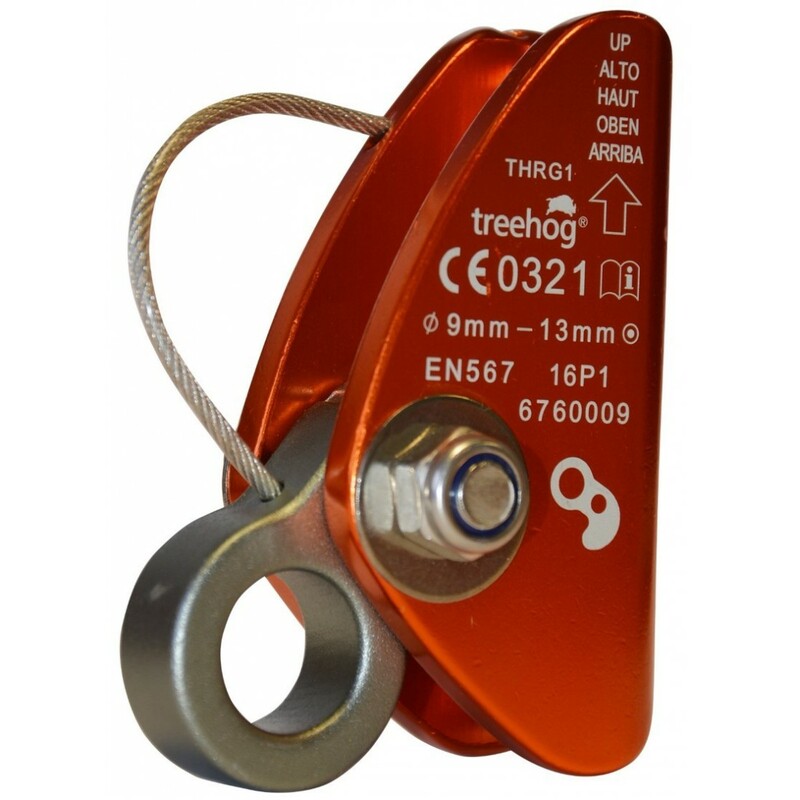 Aswith most of Treehog's range of tree climbing equipment, the rope grab isindividually serialised to help with inspections & compliance.